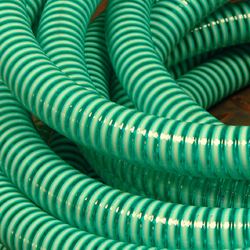 We are a leading Manufacturer & Supplier of Suction Hose such as PVC Grey Suction Hose, PVC Green Suction Hose and PVC Flexible Suction Hose from India. Positioned as a manufacturer, exporter, wholesaler, trader and retailer, we are engaged in offering our clients with PVC Green Suction Hose. 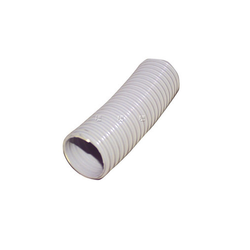 Made using finest-quality virgin PVC material that is obtained from credible vendors, these hoses are manufactured by us. Used in quarries, industries and irrigation projects, our offered hoses are available at industry leading prices. 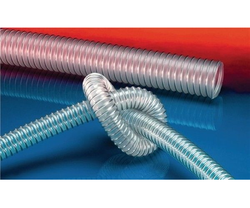 Our vast industry experience enables us to manufacture, export, wholesale, trade and retail PVC Flexible Suction Hose. Utilizing qualitative raw material in the production process, we ensure to meet the highest benchmarks of quality. Offered at industry leading prices, these products are widely demanded their outstanding features. Taking quality as our prime importance, we are engaged in manufacturing, exporting, wholesaling, trading and retailing PVC Grey Suction Hose. Light in weight, these hoses are developed as per the international quality standards to attain highest benchmarks of quality. Extensively used for diverse suction and delivery operations, construction and general water supply, these hoses are widely demanded in the global market.